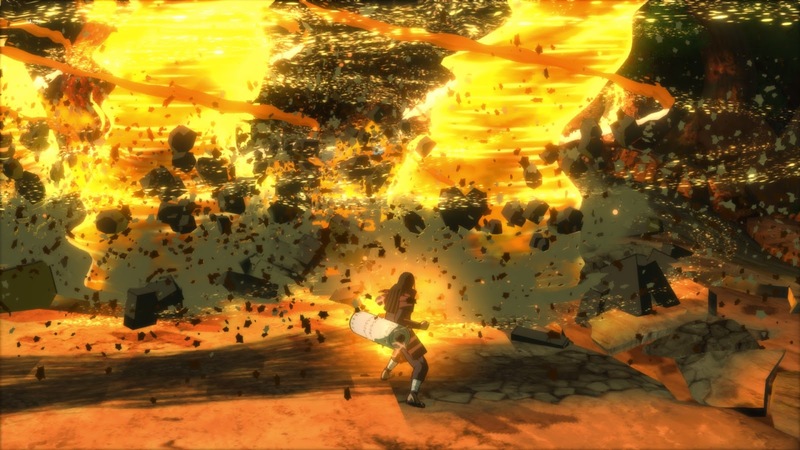 In what could very well be the last entry in the series, Naruto Shippuden: Ultimate Ninja Storm 4 looks to go out with a bang, now that the main manga has already been over for well over a year, the story about the gutsy ninja is over. Could this be the most complete Naruto game? Story mode features the events leading up to the climax of the fourth great ninja war in which things are done a little differently. We follow the arcs of Naruto and Sasuke which are displayed side by side and experience key moments from the story, some of which was expanded even further upon to further develop the overall narrative. Each episode comes with battle conditions and completing them reward you with items and money to use in the Bandai Namco shop, Along with this, side stories are also included in the mix. While I don't feel that it was necessarily needed, it looks to fill in the small holes left by the manga while at the same time, giving the player more to do. The story mode essentially did its job and gave the Naruto fans what we were expecting and more! I'm usually not a fan of the way video games try to adapt an anime, but the ending of Naruto was one of the most emotional pieces put together and I tip my hat to Cyberconnect2 for masterfully going beyond the source material and delivering an ending that far surpasses the manga. I can only hope that the anime does the same as well. The gameplay itself is still Naruto as you remember it, however it’s faster and hits a lot harder this time around. 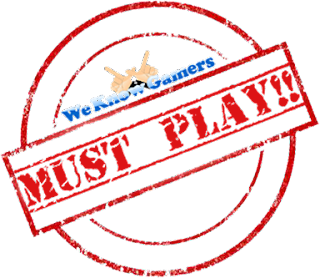 You still have the inclusion of standard and ultimate justus, which at this point seem to have just become universe destroying, however the inclusion of team combos is where the game really shines and makes for some interesting combinations. Before a battle you can pick a main along with two backup characters that can help you out, however instead of using them for a one time assist, you can actually switch between them mid-combo and deliver a devastating amount of damage. Well... what do you do here? I also liked how the game balanced the use of the Substitution Jutsu by making it a refillable bar instead of allowing the player to just constantly spam it when they're getting beat down. While the game is clearly a brawler, this brings more of a strategy element to it and one that I welcomed happily. The big returning mechanic to the game is wall combat, where on stages that allow it you can once again duke it out... well on the walls. 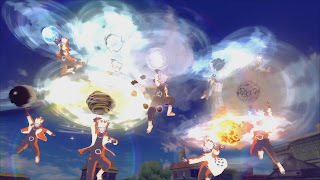 While it brings the overall game closer to what we would expect from the Naruto world, I didn't feel like it really brought anything meaningful to the gameplay; other than fulfilling a battle condition. Maybe it’s just me, but if I was fighting on the wall, I would want it to be more epic and perhaps the idea of having the ground there too maybe split too much of the focus. I honestly think having it as an option is fun, however a stage dedicated to just fighting on the wall would have been just as great. For those of you that were a fan of those really high octane- adrenaline pumping QTE’s, don’t worry because they've also been included and now thanks to the power of the current generation consoles, look even better than ever! To this day I haven't seen another other developer nail what I call "the anime style" as well as Cyberconnect2 have to the point where I wonder why the series wasn't created this way to begin with. Its basically visual drugs for the eyes. Adventure mode is exactly as the name implies and takes place after the main story is over. Heck the game recommends you finish story mode before playing this, so who was I to complain? Essentially it’s a short extra story that allows you to take on missions, explore many locations from the world of Naruto such as The Hidden Leaf Village, The Great Naruto Bridge and many others. While exploring this world, you will come across many familiar characters that bring up memories from the past, these in turn allow you to experience key moments from Naruto history such as the battle with Gaara, or Kakashi vs Zabuza which I thought was pretty cool. 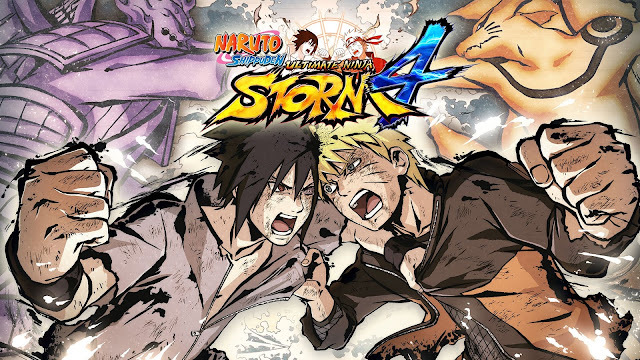 If this was the last time we would see a Naruto game, I would be totally fine with that as I believe Cyberconnect2 have a done a wonderful job with Naruto Shippuden: Ultimate Ninja Storm 4. The story mode gives closure to the tale of the gutsy ninja, while at the same time expanding upon certain moments, which only improves the original. Cyberconnect2 have clearly proven that they know how to make an anime styled game and would love for them to bring the same heart and passion to another licence in the future. One Piece? Bleach? Heck even One Punch Man.